This multi-media online training program positions customer service representatives to regain control of difficult conversations and to regain customer goodwill after even the worst has happened. 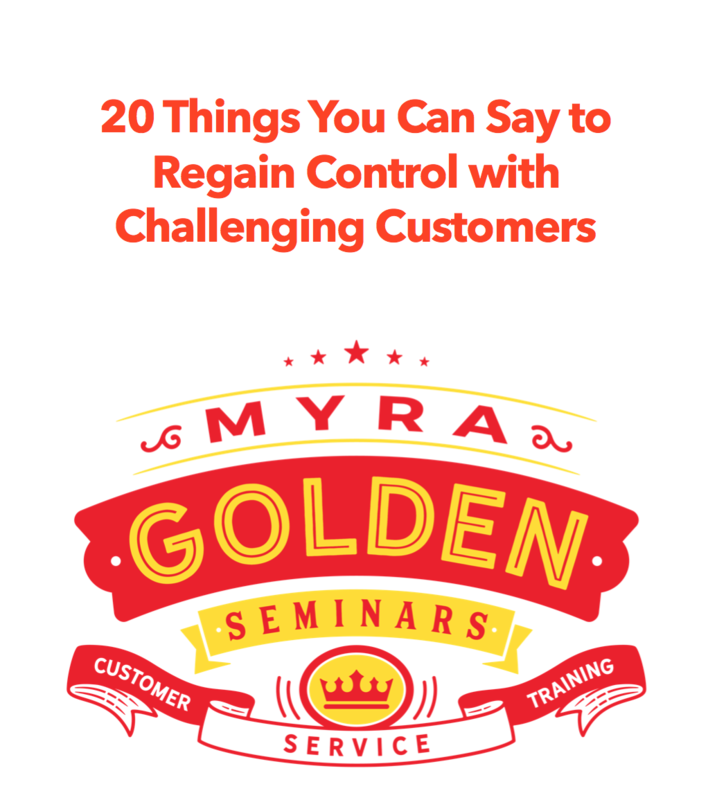 Full of specific tips to handle difficult customers, as well as tools to completely restore customer confidence in the wake of problems, the Golden Rules Training System guides customer service representatives as if Myra was right there with them. This program includes 25 video modules with Myra Golden leading customer service representatives through field-tested and proven strategies for regaining control with angry and difficult customers. Previous Previous post: Does Your Company Monitor Twitter, FaceBook and Blogs for Customer Complaints? If not, why not?